Money is in small cap. So this is the most important part of the best mutual fund series where if you don’t select the right fund, the performance can vary significantly from 16% to over 40% annually. So it is very important to select the right small cap fund. When you are opting for a small cap fund and small companies, the focus is on growth and so we select a fund has been able to do that for an elongated period of time. The selection of best fund is very different than what we have done for best large cap funds or best mid-cap funds. When I was doing the research to find the best small cap fund I found that considerable amount of small cap funds are closed ended. What is Closed Ended Fund Vs Open Ended Fund? Open-ended funds allow buying and selling of mutual fund units directly from the fund house without any time restriction. Whenever you want, you can purchase an open-ended fund. Whereas a close ended fund allows the purchase of units only when it was offered by the fund house at the time of new fund offer. After the NFO time is over, it can only be purchased from the secondary market as and when someone else redeems units. Behaviour is much similar to an IPO. The closed-ended fund can have availability issues depending on the liquidity and units of the fund available for trade and so will only focus on open ended small cap funds. There aren’t many open ended small cap funds and so I used ValueResearchOnline to get all the open ended small cap funds. The process is for identifying small cap fund is different than large cap funds because in large cap fund we use a benchmark for right kind of exposure to large cap companies but for a small cap fund, the benchmark focus is not that important because we want to spot better growth opportunities. A consistent history of research from the fund house is much much more important than anything else. We will be investing only in direct funds but for returns sake we will use regular funds numbers because direct fund concept was introduced only in Jan 2013. We have been focusing all data from ValueResearchOnline till now but now it’s time to make use of crisil’s top consistent performing funds list which lists the following funds as the most consistent funds. 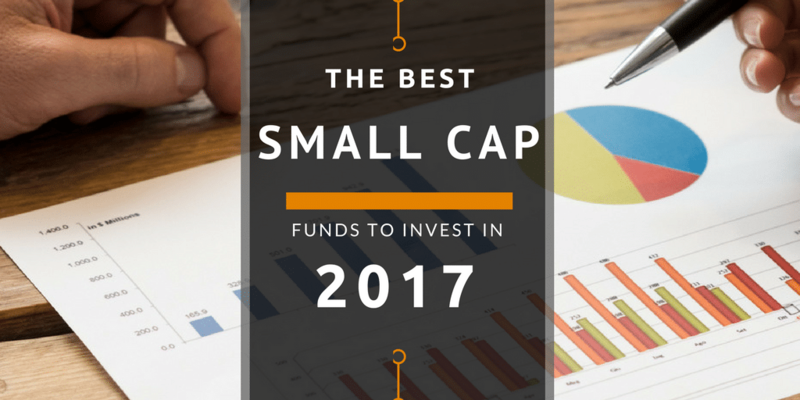 Among the small cap fund we find only 2 Mr. consistent funds and they become our best small cap funds for 2017. DSP BlackRock is a very consistent fund house catering to mid cap and small cap funds and DSP BlackRock Micro Cap Fund has given CAGR of 30% for 5 years which is awesome returns and has been a consistent outperformer. A must fund for every portfolio and aggressive investor should allocate a lot more towards this fund. If you aren’t with DSP BlackRock, you have to be with Franklin. Similar returns for a 5 year period and is making DSP BlackRock run for its share of the market in the small cap category. Though the fund is new, it has shown good promise in 1-year returns. It was launched in May of 2014 and so will complete 3 years in May of 2017. Nav is already above ₹19 in less than 3 years which means it is doing a lot more than 25% CAGR and can even be considered. Still, my preferred choice will be DSP BlackRock Micro Cap Fund and Franklin India Smaller Companies Fund in all possible circumstances. It is not an endorsement that you invest only in the above funds but the emphasis is on the process that I followed to choose the best small funds for 2017 where I selected the top performing funds and ranked them based on the consistent history of selecting the right small cap companies.